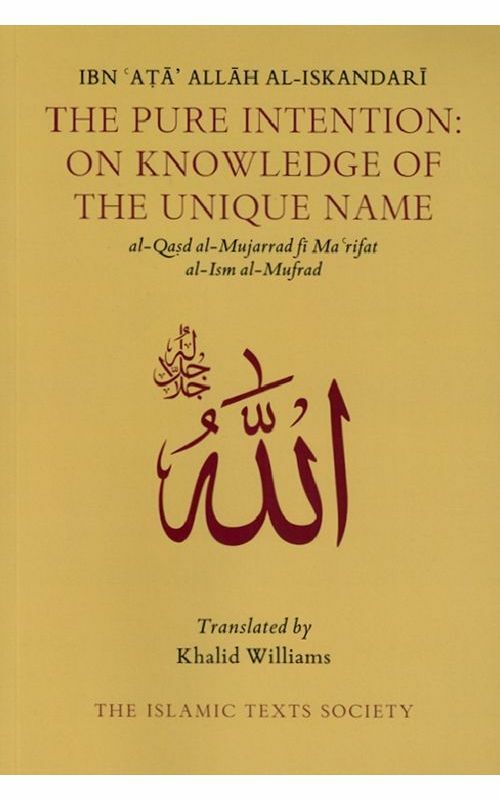 A profound work on invocation by Ibn 'Ata' Allah Al-Iskandari, one of the great saints of Islam. 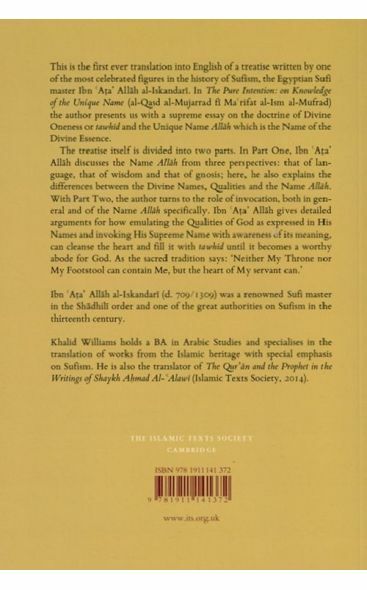 This is the first ever translation into English of a treatise written by one of the most celebrated figures in the history of Sufism, the Egyptian Sufi master Ibn 'Ata' Allah al-Iskandari. In The Pure Intention: on Knowledge of the Unique Name (al-Qasd al-Mujarrad fi Ma'rifat al-Ism al-Mufrad) the author presents us with a supreme essay on the doctrine of Divine Oneness or tawhid and the Unique Name Allah which is the Name of the Divine Essence. 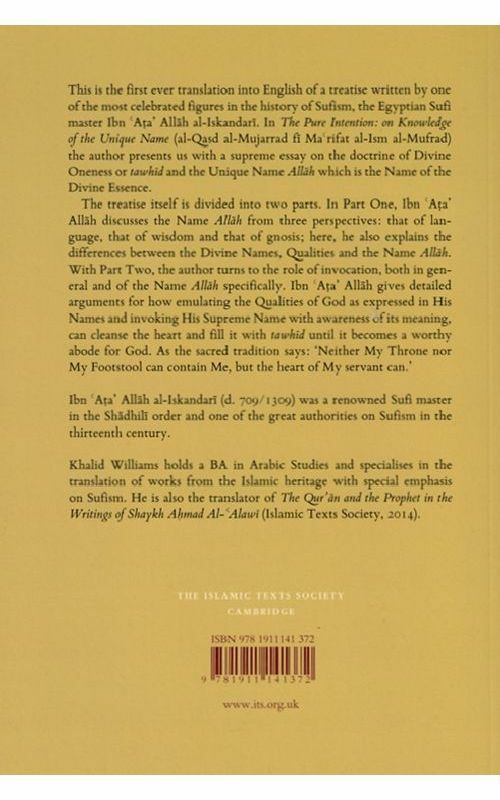 In Part One, Ibn 'Ata' Allah discusses the Name Allah from three perspectives: that of language, that of wisdom and that of gnosis; here, he also explains the differences between the Divine Names, Qualities and the Name Allah. Ibn 'Ata' Allah al-Iskandari (d. 709 AH / 1309 CE) was a renowned Sufi master in the Shadhili order and one of the great authorities on Sufism in the thirteenth century. Khalid Williams holds a BA in Arabic Studies and specializes in the translation of works from the Islamic heritage with special emphasis on Sufism. He is also the translator of The Qur'an and the Prophet in the Writings of Shaykh Ahmad Al-'Alawi (Islamic Texts Society, 2014).